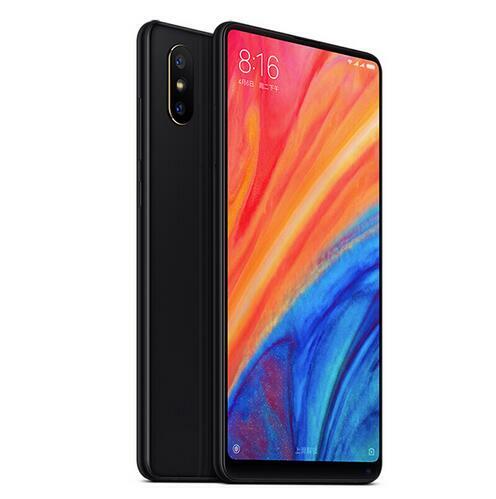 Successfully Added Global Version Xiaomi Mi Mix 2S 6+64 Snapdragon 845 Face ID NFC 5.99 Inch Wireless charging Smartphone Black to your Shopping Cart. Xiaomi Mix received many international awards, and collected by many world-class museums, with 5.99" full screen and four-side curved ceramic body. AI dual 12MP rear camera, 1.4 μm large pixel, along with 5MP front camera(AI Smart Beauty), capture clear and vivid images. Snapdragon 845 octa-core processor, Up to 2.8 GHz, combined with optimized MIUI 9 OS, offer high performance and excellent user experience. Equipped with 6GB RAM+64GB ROM, and a large battery which supports Qi wireless charging. Double SIM, double standby mode. Double slot for Nano-SIM card, any card slot can be configured as the main card. Optimizing the system matched 845 SoC makes Mix2S achieve the balance between performance and power consumption to large extent, which offers the smoothness of operation. 0.1s fast dual PD dual-core focus, 12MP dual rear cameras and 5MP front camera design, Mix2S allows you to take all the vibrant photos you want like a professional photographer, SONY IMX363, 1.4 μm large pixel, optical zoom, professional portrait dual cameras.